Have you ever wanted to make your own surfboard? 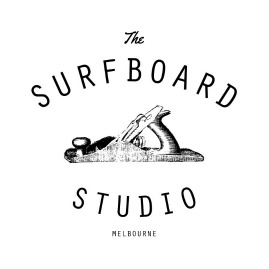 The Surfboard Studio offers world-class instruction and tuition in surfboard shaping, design, glassing and sanding, all based conveniently in Melbourne and affiliated with a stalwart of Melbourne surf culture, Zak Surfboards. The aim is to teach not only the art of surfboard shaping but to share the handcrafted skills as well the computer CAD / CNC machining and knowledge of how surfboard designs work in all sorts of waves. We also offer shop front sales of all equipment, tools and materials for building all types of surfcraft. Either shop ONLINE or drop in to our location at 1A Fink St in Preston to pick up blanks, cloth, resin and everything else you might need.